1955 | Widescreen | Color | Quality: Good - Print shows signs of age but very watchable. 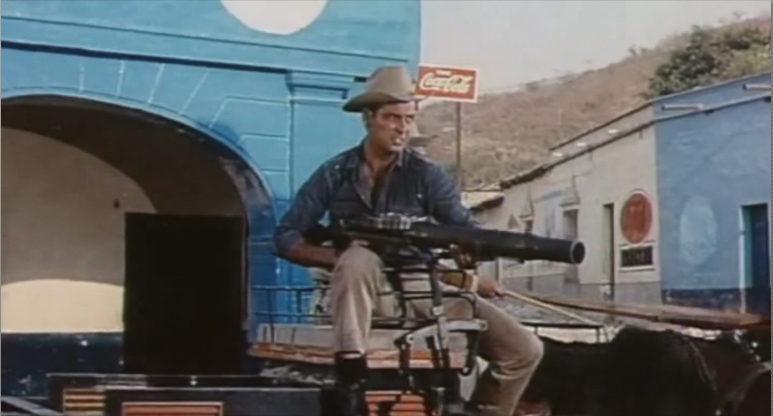 Rory Calhoun is Tom Bryan, an American mercenary who uses his machine gun to earn a rough living for himself in the troubled country of Mexico during the Mexican revolution. 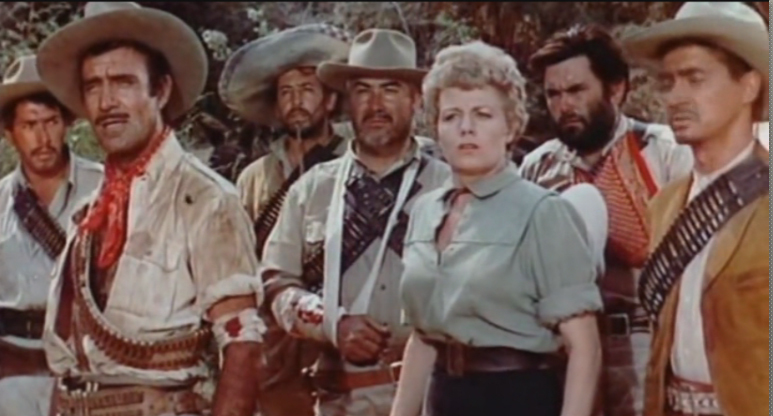 Although he wants to retire to a better life, he is persuaded to join fellow American Ruth Harris (Shelly Winters) and Jaun Castro (Gilbert Roland) who lead a group rebels in a bid to rob a Mexican train filled with a fortune in gold! 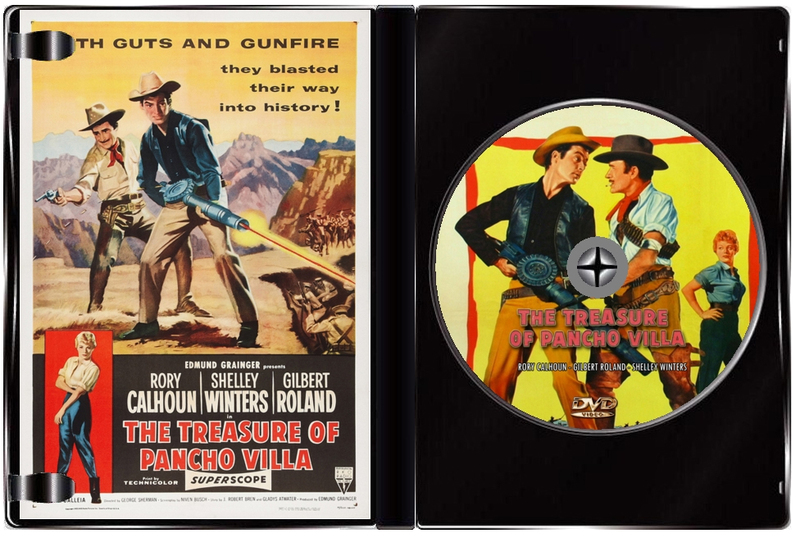 Once they have the loot, they set out on a long trek across the desert to find Pancho Villa himself and deliver the gold to him, so it can fund him to buy more weapons and ammunition. 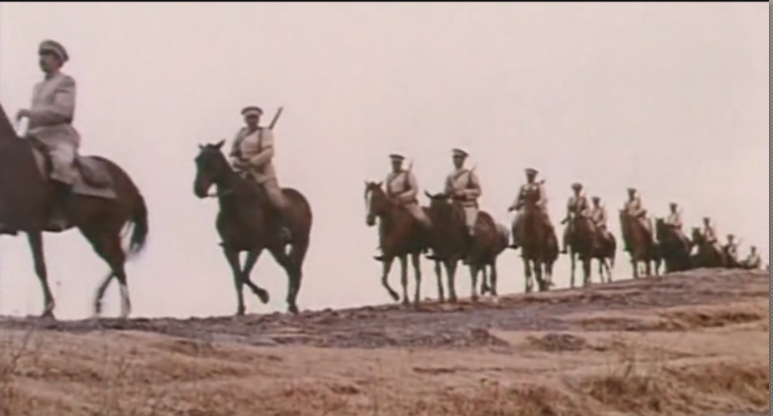 But as they make their long journey, thoughts turn to greed and betrayal all while they are being pursued by a large number of Mexican troops! 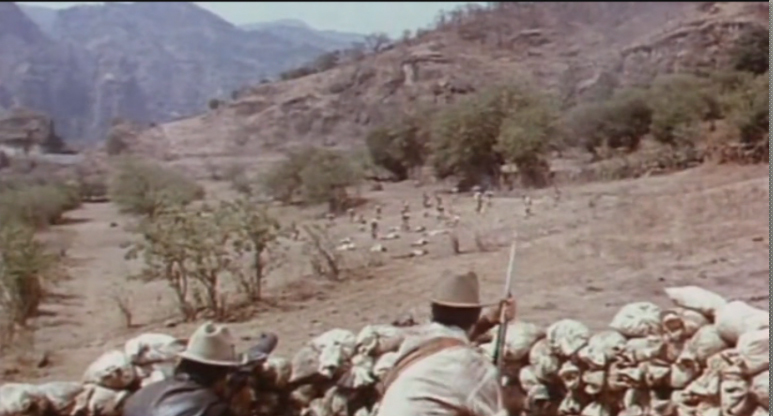 An action-packed film with plenty of double crosses and gunfights along the way, pushing the body-count up to around 80. 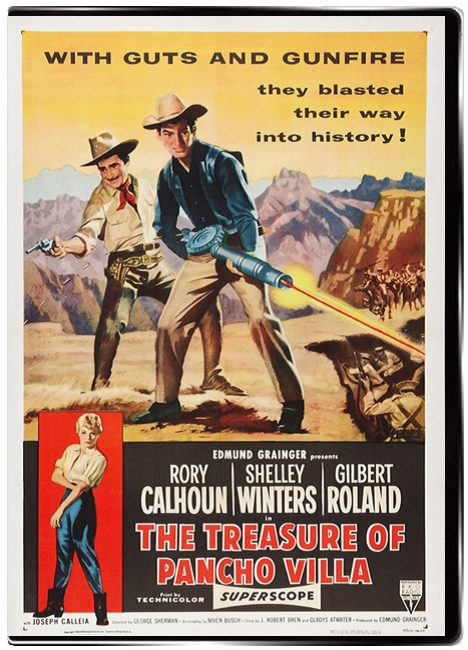 We are instantly clued in that this will not be your typical 1950s western when Rory Calhoun mows down a whole slew of Mexican troops right at the beginning with a WW1-era machine gun! This is a film that takes a simple premise and squeezes a whole lot out of it! At the center of the story is Calhoun's greed and duplicity versus the idealist Roland who has no desire for the fortune and will give everything for Villa's revolution. The story goes through many twists and turns with the standard female love interest (Shelly Winters) capturing the affections of both men. It is refreshing to see a film from this era not afraid to show Americans in a less than glorious light and a lead character with a great deal of moral ambiguousness who is countered by a foreigner with the heroic traits.